I don't know about you, but when I hear the word Olympics, I get all giddy inside. I love to watch the Olympics and look forward to them coming around every couple of years. I love the new structure of the Olympics being every 2 years, switching Summer and Winter. This gives many more countries the opportunity to host the event and build up their economies. 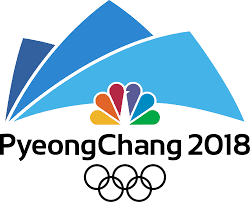 This year's Olympics are being held in Pyeongchang, South Korea and will begin on February 9, 2018. They will conclude on February 25th. 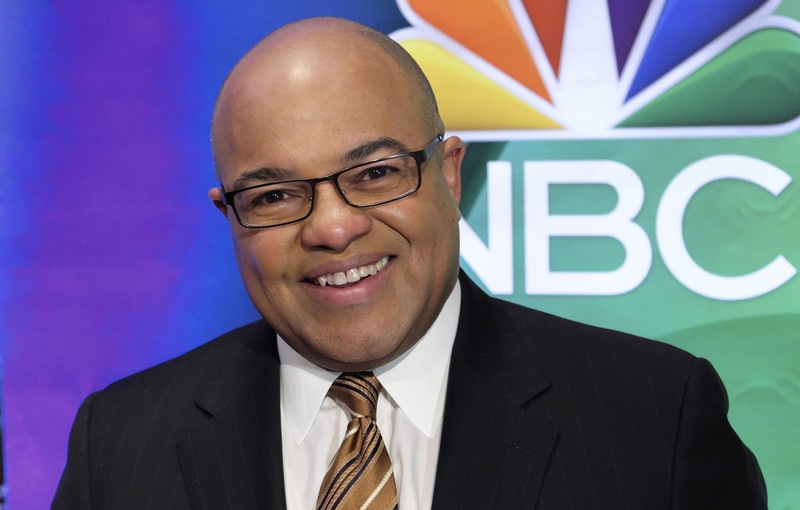 They will be broadcast on NBC, however you will be seeing a new announcer this year, Mike Tirico. Bob Costas has decided to step down from his familiar role as announcer. I wish him the best of luck. Remember the Opening Ceremonies from Sochi and how beautifully orchestrated they were? Four years ago, Meryl Davis and Charlie White put on a breathtaking Ice Dance routine in skating, winning them a gold medal. It was a moment in Olympic history that I will never forget. They were so in tune with each other and danced so beautifully and flawlessly across the ice. Team USA took home 3 gold medals in snow boarding in 2014, including the medal won by Kaitlyn Farrington in half-pipe. Who can forget Erin Hamlin winning the first Luge gold medal for Team USA in Olympic history? Biathlon- Three time Olympian Lowell Bailey is going for his first medal. Cross Country Skiing- Women's Cross Country Ski Team is looking to reach the podium. Curling- Team USA is hoping to get back on the podium. It has been over a decade since they were there. Figure Skating- Nathan Chen is looking to bring home a medal. 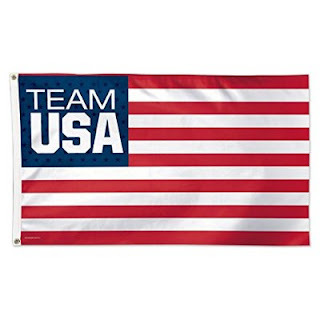 Ice Hockey- USA Women's team is looking for an exciting rematch against Canada. Long Track Speed Skating- Keep an eye on Team USA Men and Women. Luge- Can Erin Hamlin bring home another medal, besting here 2014 bronze? Skeleton- Matthew Antoine won a bronze in Sochi. Can he top that this year? Snowboard- As if I have to say who, but I will anyway.... Shaun White will be exciting us all on the course. Also keep an eye on Chloe Kim who is a favorite to win a gold medal on the half pipe. Soohorang is a white tiger. The tiger is an animal closely related to Korean mythology, and is a symbol of trust, strength, and protection. Its name is derived from the Korean words "sooho" (수호) and "ho-rang-i" (호랑이), which means "protection" and "tiger" respectively. Bandabi is an Asiatic black bear, a bear native to the Korean peninsula. The bear is symbolic of strong will and courage. 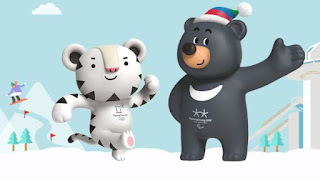 Its name is also formed from two Korean words: "bandal" (반달) and "bi" (비), the former meaning "half-moon" to refer to the white crescent on an Asiatic black bear's chest and the latter connoting commemoration to celebrate the games. Be sure to set your DVR so you don't miss any of the Olympic action. Disclosure: Some of this information was obtained from TIME, Wikipedia. I am looking forward to watching some of the games! I surely can't wait for the kids to tune in this winter! I can't wait for the parade of athletes as it is one of my favorite parts of the Olympic games. That has always been one of my favorite parts too. I am looking forward to Shawn White!